Ronen's Opening Survey: Sicilian Najdorf Poisoned Pawn (6 Part series). Back in the 60s and 70s everybody was playing the Sicilian Najdorf Variation, inspired by the genius of Bobby Fischer. One of the more controversial lines he championed in the mainline was the controversial Poisoned Pawn Variation with 7 …Qb6. After going out of fashion for a period, recently Sicilian aficionados have again resumed the maze-like challenges and complexities of the Fischer favorite, but this time with a new millennium twist of 1.e4 c5 2.Nf3 d6 3.d4 cxd4 4.Nxd4 Nf6 5.Nc3 a6 6.Bg5 Nbd7 7. f4 Qb6. And in a new series of Ronen's Opening Survey, our theoretical guru, GM Ronen Har-Zvi casts a critical eye over this modern-day treatment of the Poisoned pawn. 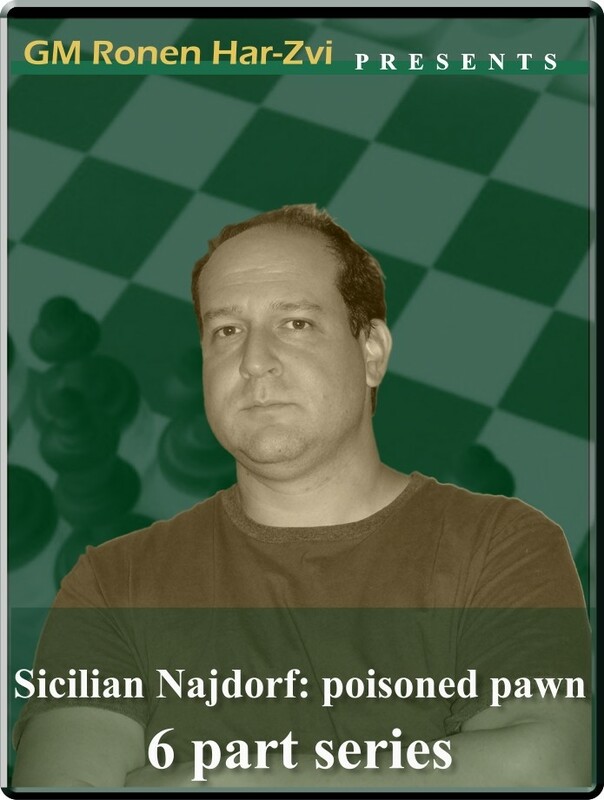 Ronen's Opening Survey: Sicilian Najdorf Poisoned Pawn (6 Part series). B94: Sicilian: Najdorf, 6.Bg5. Back in the 60s and 70s everybody was playing the Sicilian Najdorf Variation, inspired by the genius of Bobby Fischer. One of the more controversial lines he championed in the mainline was the controversial Poisoned Pawn Variation with 7 …Qb6. After going out of fashion for a period, recently Sicilian aficionados have again resumed the maze-like challenges and complexities of the Fischer favorite, but this time with a new millennium twist of 1.e4 c5 2.Nf3 d6 3.d4 cxd4 4.Nxd4 Nf6 5.Nc3 a6 6.Bg5 Nbd7 7. f4 Qb6. And in a new series of Ronen's Opening Survey, our theoretical guru, GM Ronen Har-Zvi casts a critical eye over this modern-day treatment of the Poisoned pawn.